Inspection - Tunnel Scanning - Tunnel - Projects - Home - dibit Measuring Technique USA, Inc. The hydro power plant Opponitz is undergoing renovation work which includes the rehabilitation of the existing, 2600 m long Opponitz penstock tunnel between Haselreith and the surge chamber in Opponitz. The main rehabilitation measure consists of a GFK Inliner, which will be placed directly onto the existing tunnel lining. 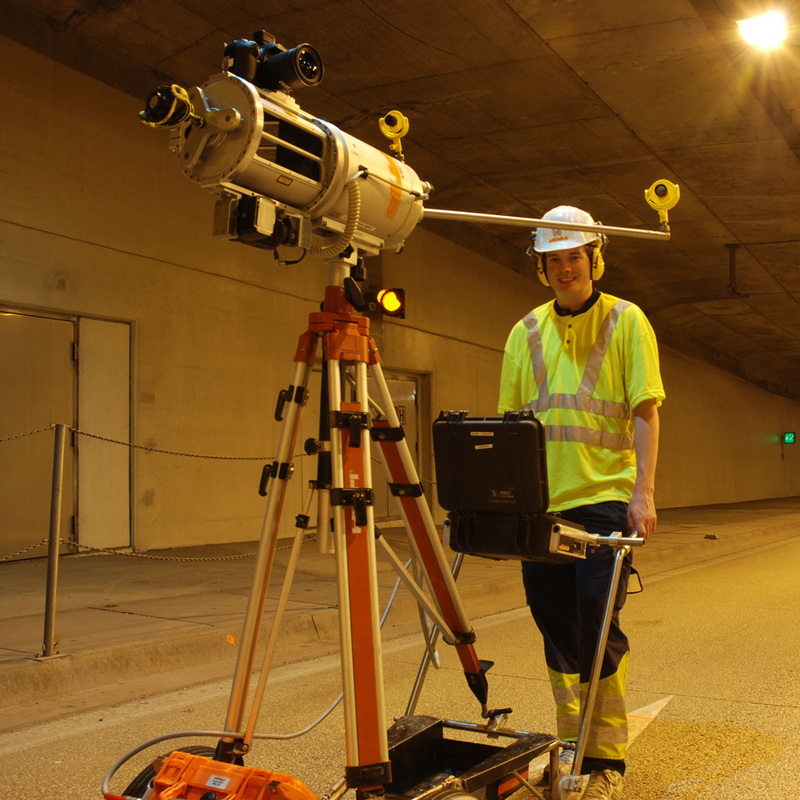 To verify the tunnel dimensions for the GFK Inliner, a tunnel scanner survey was performed beforehand. The results provided the necessary information for dimensioning the rehabilitation measures. All tunnel survey work had to be done within a very limited time frame to ensure that the tunnel could be re-flooded on time. 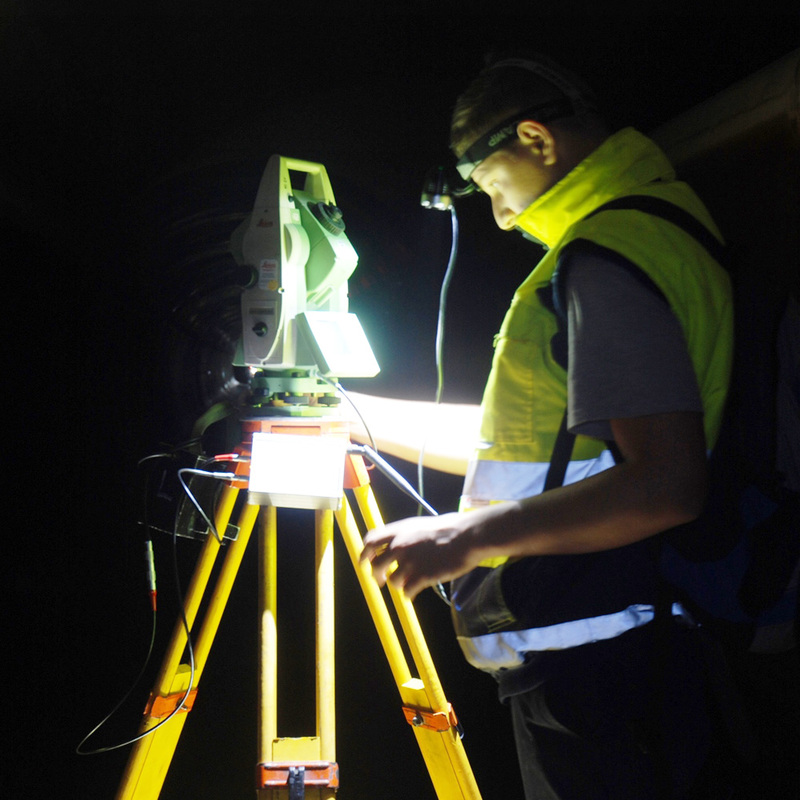 Further time restrictions caused the fact that surveying work had to be coordinated with a structural inspection, which was performed at the same time. 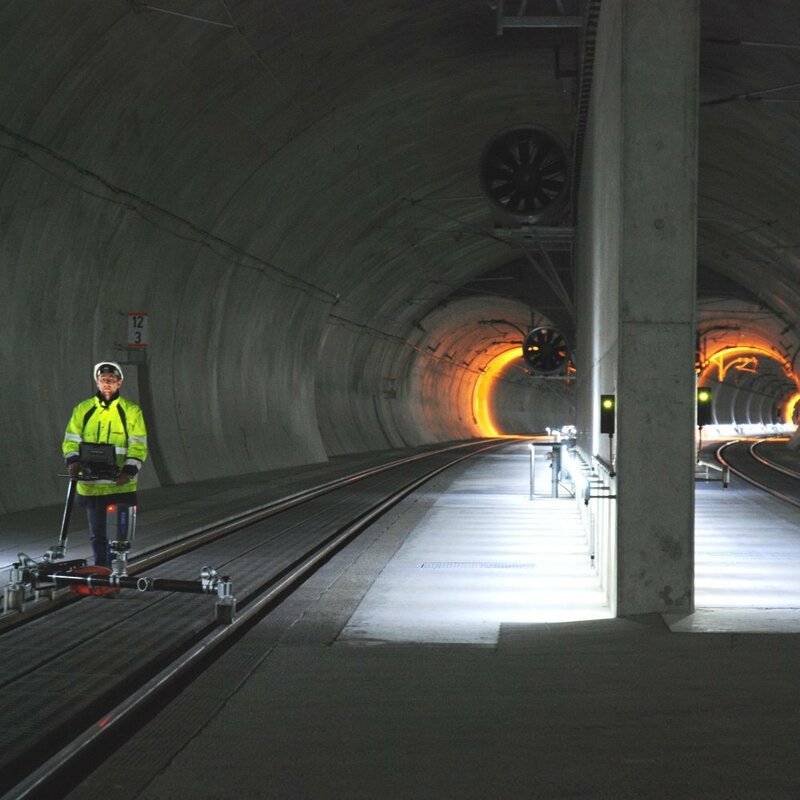 Dibit Messtechnik GmbH services included to install a reference system in the tunnel. Therefore a traverse was measured through the tunnel with control points which were installed in increments of 50 m. All of the points coordinates were determined and tied together to form the reference system. Once the control points were in place, the tunnel scanning survey was carried out to geometrical and optical acquire the entire tunnel vault, resulting in a comprehensive, true color textured 3D model of the Opponitz penstock. From the 3D model, ortho-photos, in-situ and condition plans incl. tunnel objects, defects and stations of the segment joints were generated. In addition, a static profile analysis was accomplished between the actual and the design profile. Furthermore, horizontal and vertical cross sections, as well as point clouds with color information have been submitted to the client. Upon completion of this project, a modern and high quality documentation of the completed railway system was accomplished. The focus lay on a comprehensive as-built documentation, achieved with a high resolution laser scanner survey that recorded the as-built geometry with a photo documentation of tunnel and shoulders. This initial survey forms the basis for current and future data processing and future condition assessment applications which can be achieved through follow up surveys. After receiving the project design drawings and data (alignment, track data and profile) a comprehensive laser scanner survey, as well as high resolution digital images of the tunnel surface have been accomplished. Data processing for the tracks was done separately and resulted in a true-color textured 3D-model for each track. 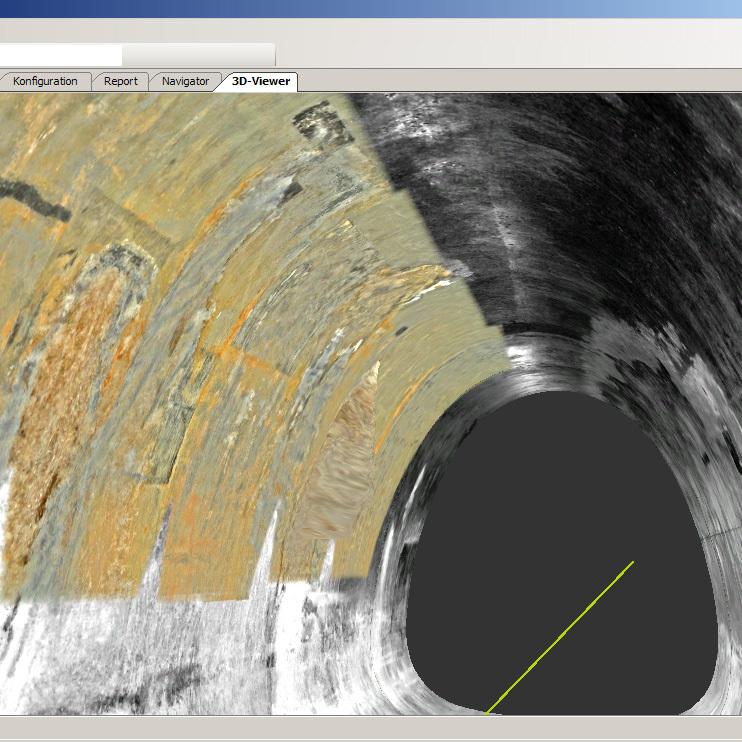 In addition an orthorectified image of the tunnel and shoulders with a resolution of 1 mm was generated. A clearance envelope verification analysis was carried out in dibit 7 software, with cross section sheets showing clearances of every 10 m.
The results were delivered via XML-based exchange formats, which enabled the integration into the ÖBB-internal user programs. The project was executed as a joint venture of VSP and Dibit Messtechnik GmbH. The new constructed Unterinntal railway is a high-speed rail line in Tyrol. It constitutes the northern feeder route of the Brenner Base Tunnel, which makes it part of the TEN-alignment no. 1 Berlin – Palermo. Its` first section of track (Kundl-Baumkirchen) is designed as a 220 k.p.h. high-speed line and was opened on November 26th 2012. Since December 9th 2012 the route has been served as scheduled and relieves the existing Unterinntal railway. The length of the new section is 40 km long, 34,5 km of which are leading through tunnels and and open cuts. Upon completion of this project, a modern and high quality documentation of the completed railway system was accomplished. The focus lay on a comprehensive as-built documentation, obtained though a high resolution laser scanner survey.The scanner provided the as-built geometry including a photo documentation of tunnel and shoulders. This initial survey forms the basis for current and future data processing and future condition assessment applications which can be achieved through follow up surveys. The survey was carried out with the dibit system LSC 4200-SRM. A digital 3D-clearance envelope verification analysis was generated in dibit 7 software with cross section sheets showing clearances of every 10 m and true-color orthorectified images of tunnel and shoulders with a resolution of 1mm. Defects detection was accomplished with the tunnel information system dibit TIS and was delivered to the client in a digitalized form. The project was executed as a joint venture of VSP - AVD. Dibit Messtechnik GmbH provided scanning system and staff. Tunnel Bindermichl exists of two multi-track highway tunnels with service lanes and six feeders in total. Traffic distribution occurs on a roundabout which is located above the tunnel. In 2010, as part of the main tunnel inspection, a comprehensive visual and geometrical in-situ assessment and evidence regarding possible damages were accomplished for the whole length of the construction. 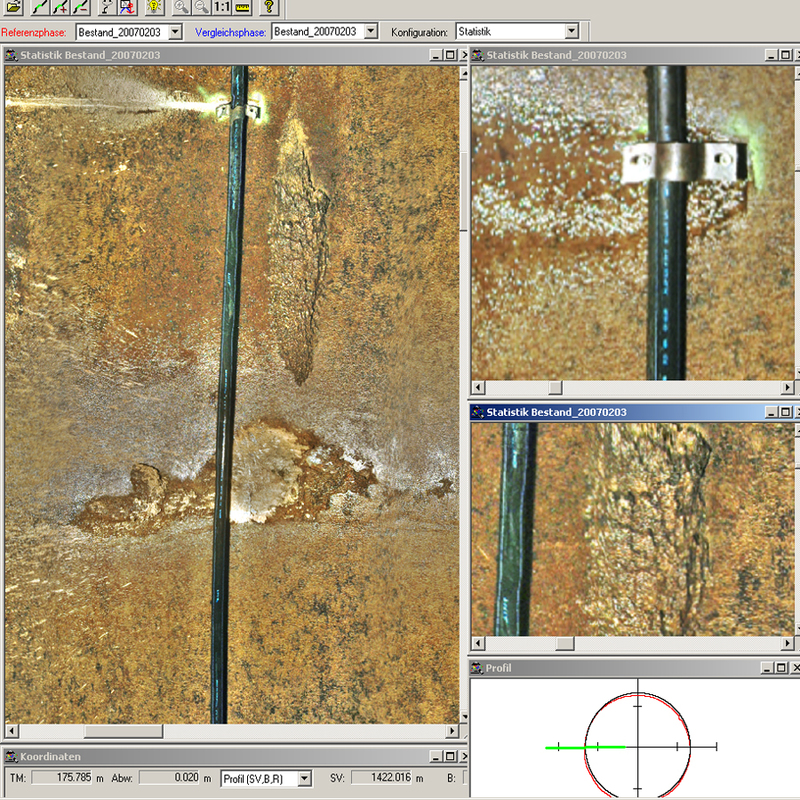 Using our high resolution laser scanner and cameras, we were able to detect cracks as small as 0.3 mm in width. The survey was accomplished in a partly closed tunnel allowing traffic to flow freely in the open lanes. The geometrically very sophisticated construction was completely modeled. The client received in-situ assessment and as-built documents as well as a comprehensive true-color textured 3D model with the corresponding dibit 3D-viewer software. The digital documentation of existing damages was accomplished with the tunnel information system dibit TIS. The approx. 80-year old water tunnel ZW 3 of Munich’s’ water supply system will be undergoing rehabilitation in the near future. 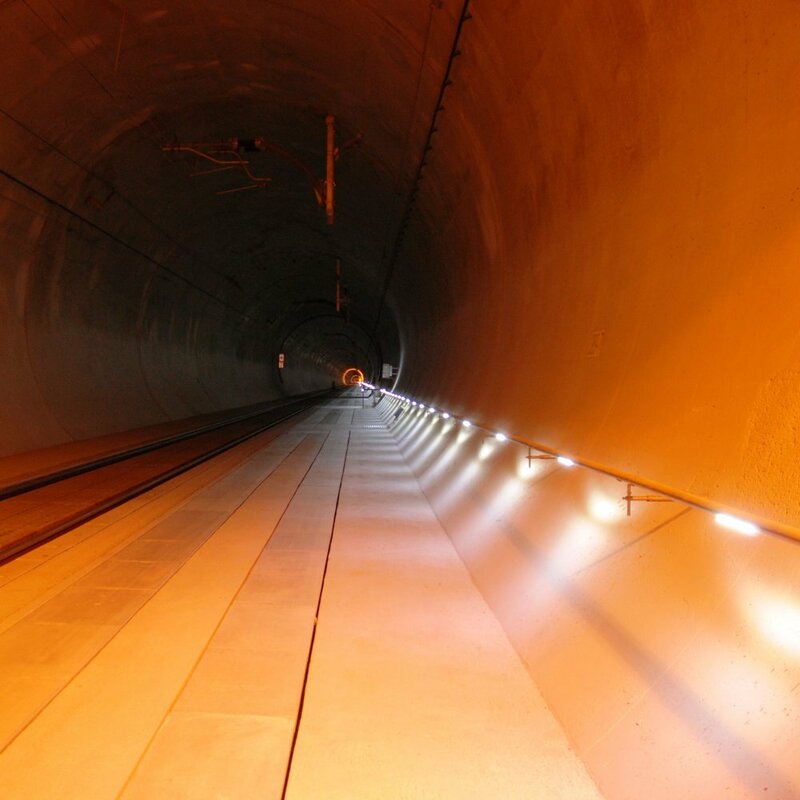 The tunnel is about 6000 meters long, its’ egg-shaped typical profile is approximately 180/160 cm, its’ longitudinal incline less than 1 % and it is covered with a continuous concrete lining. 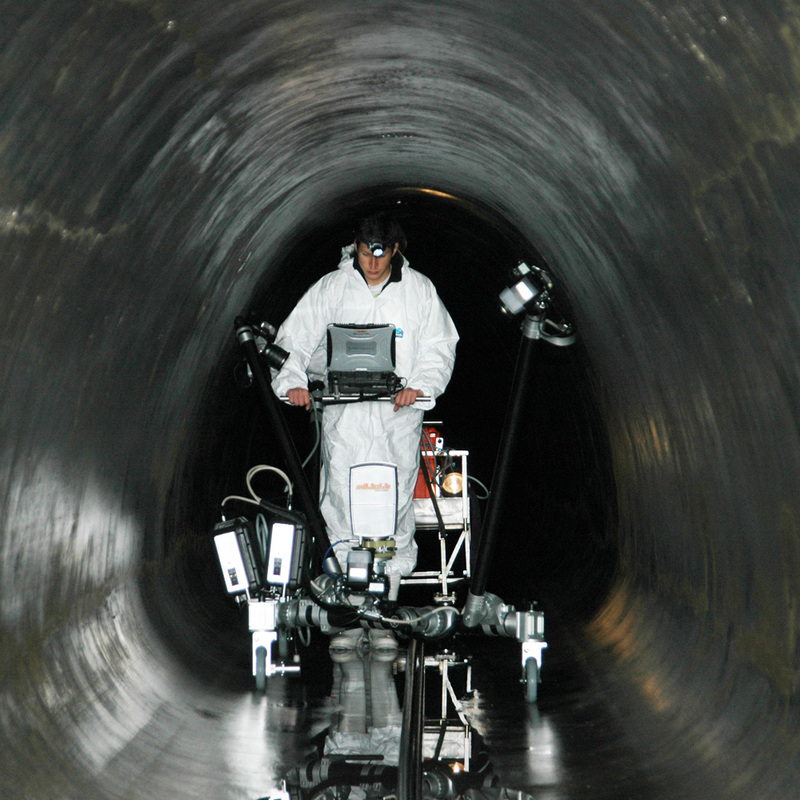 For the condition assessment a combined geometrical and visual in-situ assessment of the tunnels’ surface and invert was carried out with the dibit tunnel scanner LSC 4100-SRmF2, which is a kinematic, imaging high-performance laser scanner. The first step was to accomplish the initial survey of the tunnel section. The results of this initial survey serve as in-situ assessment documentation and form the design basis for rehabilitation measures. The possible next step is to re-inspect particular tunnel sections or the entire water tunnel at a later time, or after finish of the rehabilitation program to document and check the implemented work. With the data of the in-situ assessment (initial survey) defects can be localized exactly and rehabilitation measures or quantities (e.g. concrete volumes) can be calculated in advance. These volumes are as well a guideline for the bid documents of the imminent rehabilitation program. By the comparison of initial survey and follow-up survey emerging cracks or water ingresses, crack discrepancies or spalling in the tunnel can be precisely detected, documented and analyzed. 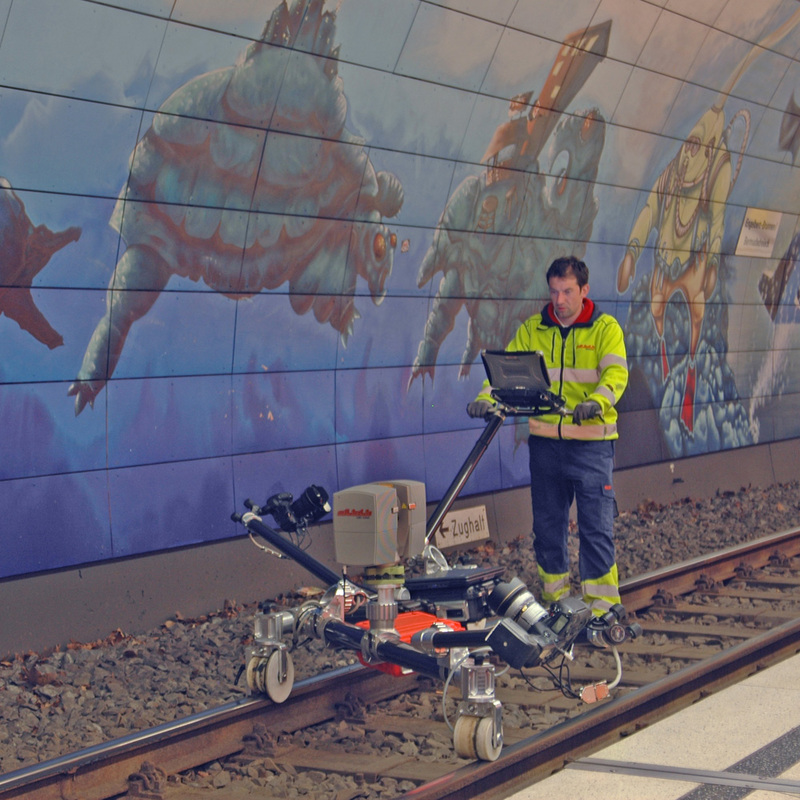 The initial scanning survey of the U35 subway Bochum with the dibit photo scanner system already took place in the year 2000. 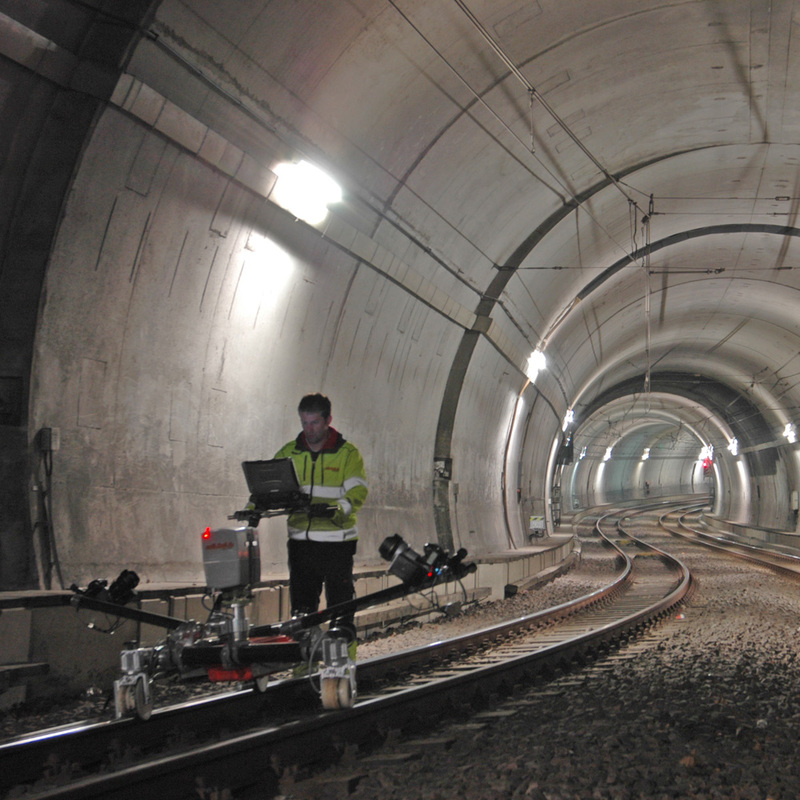 Goal of the second subsequent tunnel scanner survey was the detection and logging of changes to the tunnel surface, compared to the initial survey. In this way it was possible to objectively and precisely acquire emerging defects (eg. cracks, spalls) and also to determine alterations of already existing damages (eg. increase of crack length or width). With this form of documentation the effort of follow-up inspections can be reduced to a minimum. 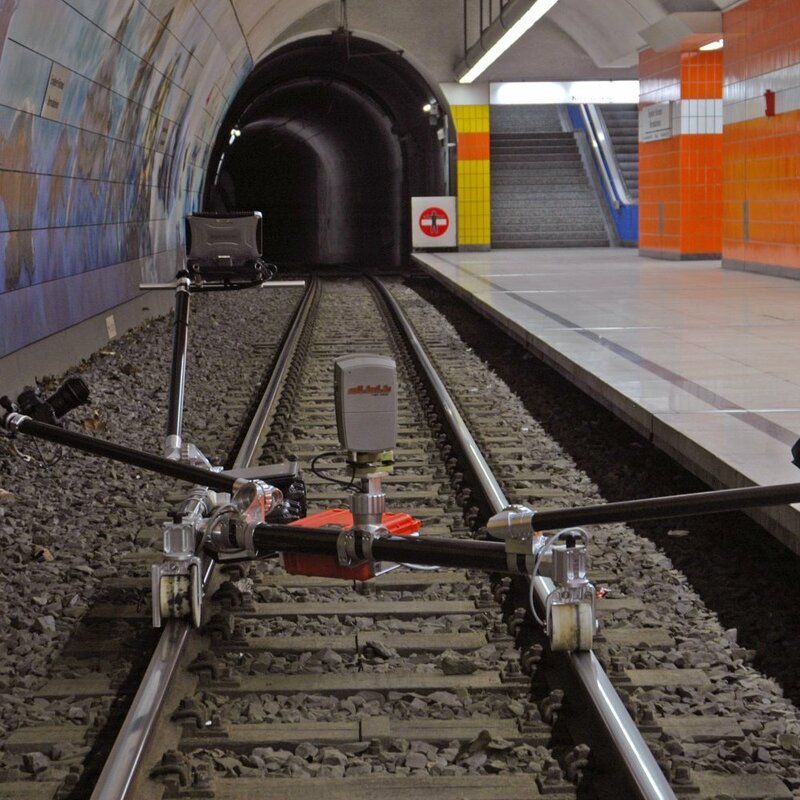 For the second survey a kinematic measuring system, the dibit tunnel scanner LSC 4100-SRmF2 was used to accomplish a comprehensive recording of the entire tunnel surface. A 3D-model with “local” coordinates was created, which was superimposed onto the existing 3D-model of the initial survey and geo-referenced in this way. The 3D-model surface texture was calculated using the survey pictures. 3D-models from different epochs (intial and follow up survey) could be depicted parallel and therefore immediate comparisons were made. Subsequently customized geometric and photographic results could be created from this 3D-model. 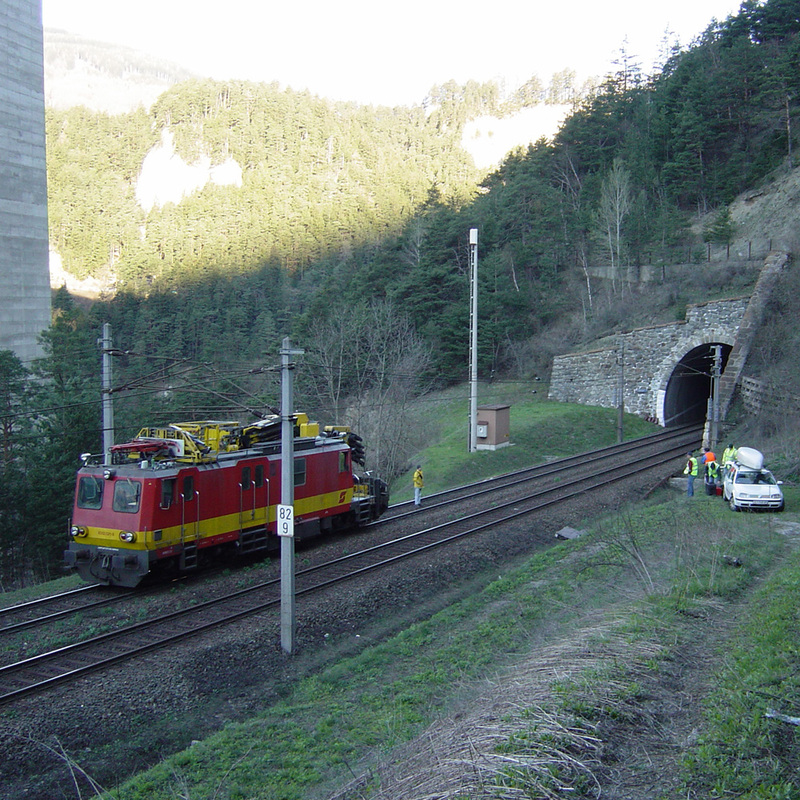 This project was executed in joint venture with Alpine BeMo Tunnelling. For the construction of the Brenner Base Tunnel it was necessary to underpass the penstock of the Franzensfeste hydro electrical power plant with an exploration tunnel at a low distance. The penstock was subject to a preservation of evidence and therefore monitored during excavation work regarding vibrations. Since the location of the penstock was only approximately known, a geodetical determination of the tunnel axis was required. 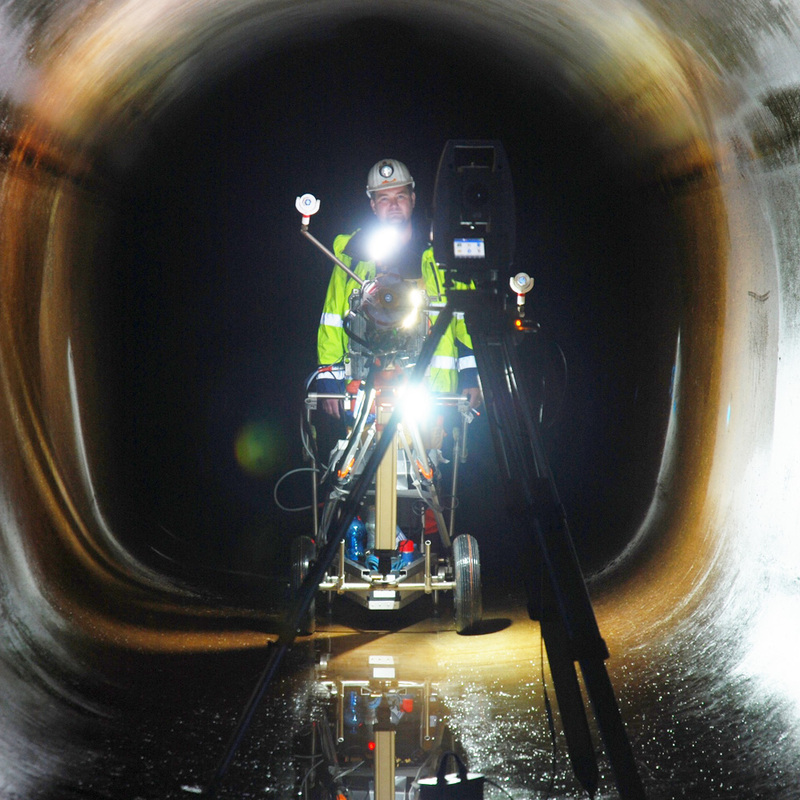 Before the actual survey in the penstock was accomplished, survey control networks were established above ground and in an access tunnel to the penstock, which both were measured and its fixed points determined. In February 2007, during a scheduled deactivation of the power station the penstock was drained. Within a time frame of 72 hours the axis of the penstock had to be geodetically determined from the access tunnel and the aboveground survey control network. The evidence of the penstock was acquired for 400 meters in the intersection area of the exploratory tunnel with the dibit tunnel scanner. Within the limited time frame the vibration sensors for the seismic measurements had to also be mounted in the same crossing area. The client received a comprehensive documentaton of the gallery with a 2 x 2 mm resolution of the tunnel surface. 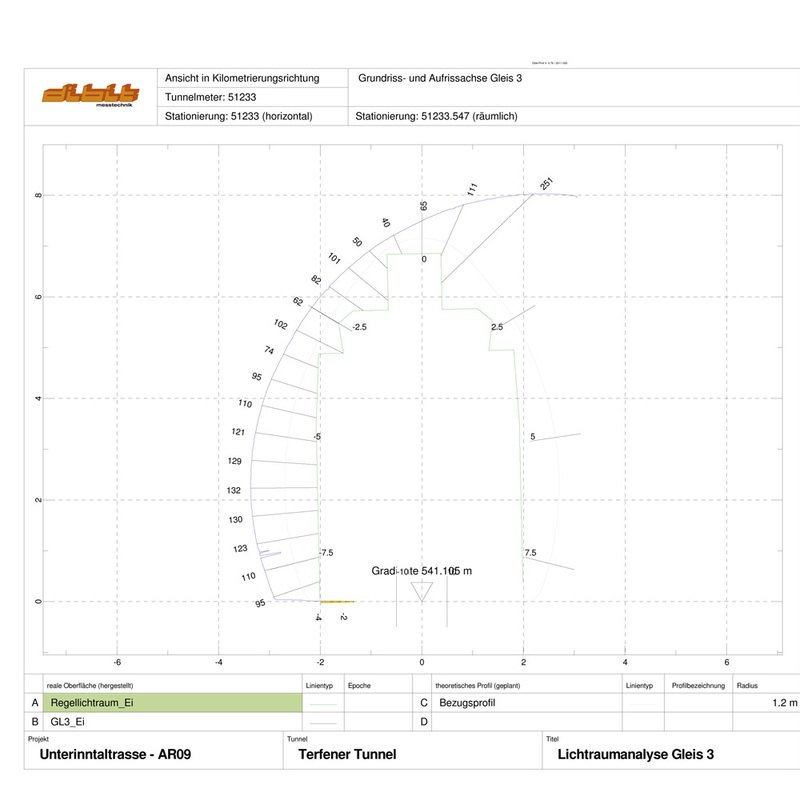 With the software dibit TIS every tunnel lining defect was recorded and described. 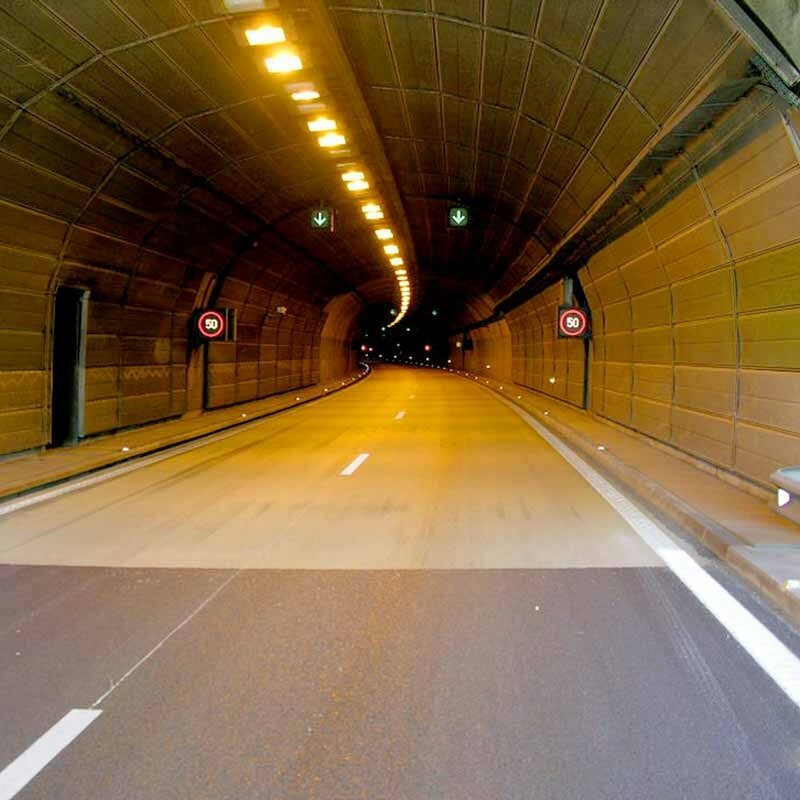 The Howald Tunnels are two 30-year-old highway tunnels with lengths of 430 m and 470 m long each with two lanes. Both tunnel had to be refurbished, therefore a visual and geometrical in-situ assessment of the actual condition of the construction was necessary. During the tunnel scanner recordings the traffic was redirected in the respective other bore. The recordings were accomplished in the night to interfere traffic as little as possible and were finished within 2 days. The detected cracks were logged in the tunnel information system dibit TIS and its lengths were automatically ascertained, which served as a basis for the preparation of the refurbishment tender. From the data, logged with dibit TIS crack maps and component maps were issued, which could be overlapped with the high resolution ortho images of the tunnel scanner recordings. These maps were stored as DWG files and could be enclosed to the tender documents as valuable source of information for the constructor. In the course of the tunnels' main inspection extensive cracking was detected in the final lining. 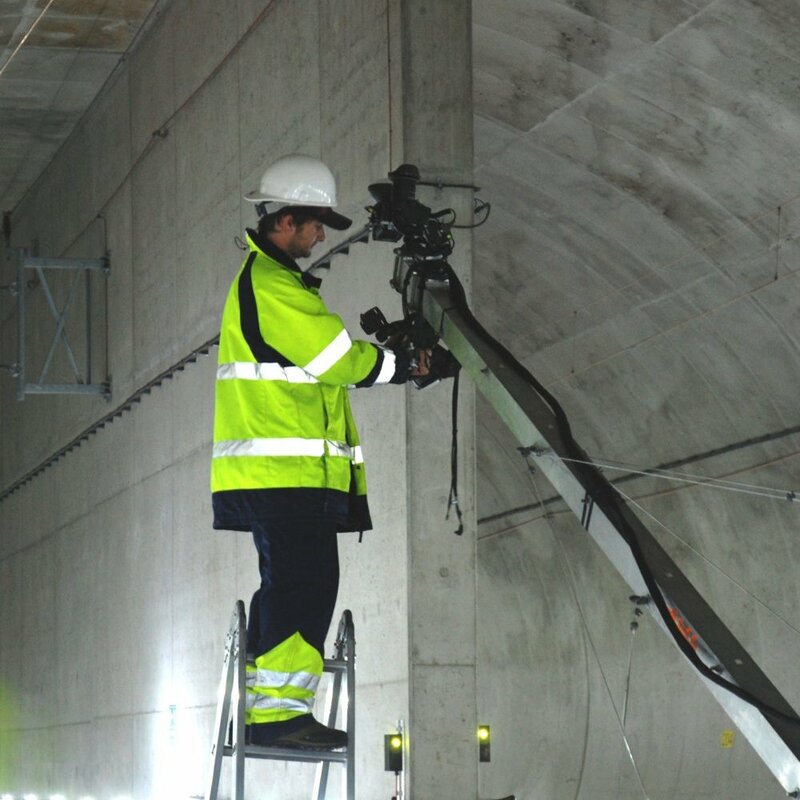 To obtain a reference for future tunnel checks a high resolution tunnel scanner reading with a point resolution of 4 x 4 mm was accomplished (visual inspection). This recording also yielded a comprehensive geometrical survey of the tunnel final lining and enabled a quick inspection of the tunnels' clearance envelope. - Beside the tunnel scanner recording valuabel additional information with just moderate costs for the client. The cracks and all components of the tunnel were acquired with the tunnel information system dibit TIS. From the data crack maps and component maps were created, which could be overlapped with the high resolution ortho images of the tunnel scanner recording. Those maps were saved as DWG files and were instantly available to the client and his tunnel inspectors for following tasks.